Jochen Langheim, chairman of CESA 3.0, reminds that the deadline for submission is May 15 th. Be careful, there are only two weeks left. On Wednesday, there have been two meetings to update CESA congress organization. The fist was held with the organizing committee at SIA headquarters, in the suburbs of Paris. The second one followed in the evening with the advisory committee. In the famous restaurant Drouant, where the prize Goncourt for literature is awarded every year to best authors, top automotive managers were around the table to discuss the programme of the event. Around Jochen Langheim, chairman of CESA 3.0, we could see Rémi Bastien (Renault), Jean-Marc Finot (PSA Peugeot Citroën), Guy Maugis (Bosch France), Guillaume Devauchelle (Valeo), Bernard Million-Rousseau (PFA), Daniel Pfrimmer (SIA), as well as Louis-Claude Vrignaud (Continental Automotive) and Olivier Alazard (ST Microelectronics). Germany, as a special guest this year, was represented by Wolfgang Runge, chairman of Baden Baden conference, and by Jörn Bousselmi, General Manager at Chambre Franco-Allemande de Commerce et d'Industrie. Starting from this month, Mini offers a clever new app that not only helps the driver with navigation, but also supplies individually tailored information on the road. It's a merger of data stored in the car and entries stored on the smartphone. Apple iPhone users can plan a trip on their mobile phone, taking into account calendar entries and any appointments they have at their destination. As soon as the smartphone is connected, the Mini Connected XL Journey Mate calculates whether there is enough fuel for the trip and highlights service stations en route, indicates the expected time of arrival and gives weather information. The app also assists the driver in locating parking spaces, and directs him on foot to reach his final destination. All this and Real Time Traffic Information is displayed on the Mini's 8.8-inch on-board monitor. The system is navigable via the new Touch Controller and multifunctional steering wheel buttons and is intuitive and simple to use. 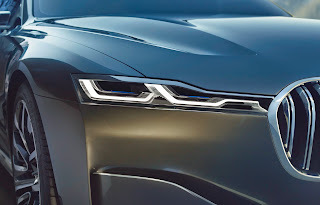 At Auto China 2014, in Beijing, BMW has univeiled a concept car that delivers a long-term outlook on the perception of modern luxury for the german brand. New technologies include laser front lights and OLED rear lights. There is a new head up display too. It augments the driver’s view of the real world by projecting information directly in the driver’s line of sight onto the road. - Touch and thermal well-being : power adjustment seats with a 3-position memory (driving, welcome and relaxation), heating with air flows in the upper seatbacks and three massage zones: seatback, cushion and calf rest. PSA Peugeot Citroën has developed a new driving experience calling on the senses of vehicle passengers. Sound is one of them. 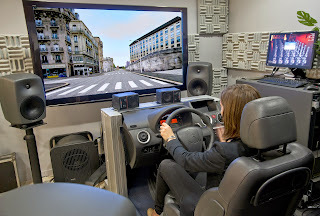 Thanks to electronics and software, PSA offers sound spatialisation in the cabin. Based on the digital processing of sound signals, this technology makes it possible to simulate the location and movement of sound sources. That means that virtual sound sources can be recreated and manipulated anywhere in space. The sound can be positioned or even moved, in coherence with the message or the location concerned. For instance, if the navigation systems says "turn right", the driver will get the sound on the right at the same time. Vincent Roussarie, digital audio research engineer at PSA, says : "Sound spatialisation technology is advantageous on three levels: intelligible messages, sound quality and functional efficiency, since vocal information and sound location reinforce one another for increased driver safety". During Build 2014*, Microsoft demonstrated a Windows Phone car connectivity solution based on the MirrorLink connectivity and integration standard. 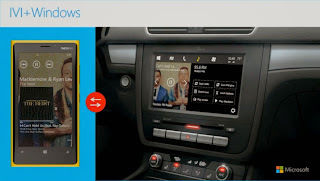 The technology allows for the replication of the screen and controls of a Windows Phone device on to the head unit of the car. Invented by Nokia, this solution is already available in a number of handsets, most notably select device in the Sony Xperia line. The smartphone centric approach is also being taken by Apple with its Car Play solution. Pioneering technology is being developed to give Land Rover drivers a digital vision of the terrain ahead by making the front of the car 'virtually' invisible. How does it work ? Cameras located in the vehicle's grille capture data used to feed a Head-Up Display, effectively creating a 'see-through' view of the terrain through the bonnet and engine bay, breaking new ground in visual driver assistance. 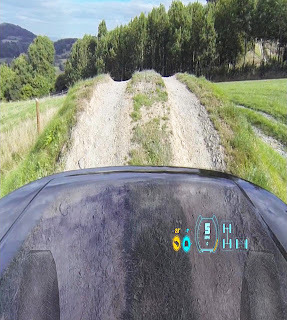 The technology, named Transparent Bonnet by its creators, enables a driver climbing a steep incline or manoeuvring in a confined space to see an augmented reality view, capturing not only the terrain in front of the car but also the angle and position of the front wheels. 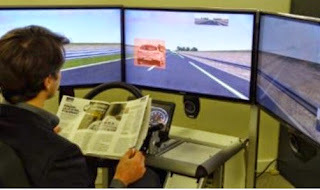 A research project, called LRA, is studying augmented reality as an HMI for automated driving. The aim is to clearly describe the situation of driving and to raise the driver awareness, in order to take back control if necessary. AR display could be used on a Head-Up Display, connected glasses on a large HUD. It's a new way to get interactions with the driver and to manage transitions from automated to manual driving. This project is led by System X, a technologic research institute in France, with the help of several partners including Renault, Valeo, Oktal and CEA-List. 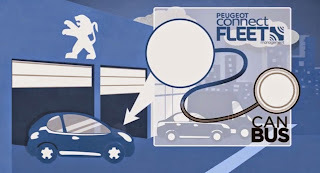 Starting from 2015, several OEMs will offer a Car2Car connectivity. To catch up, France has decided to organise a pilot project. Called Scoop@F it will run with about 1 000 vehicles in 2016. There will be 1000 more vehicles the year after. France will have then the largest fleet on the road for collecting data on performance, cost/benefit and user acceptance. 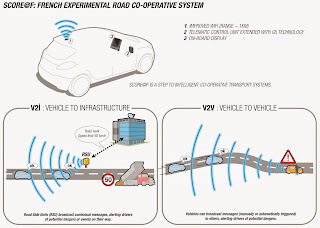 Scoop@F builds on another project (Scor@F), that has already allowed Renault and PSA to test the connectivity between cars and infrastructure. 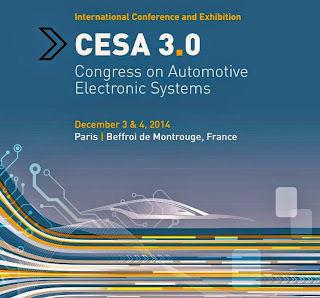 During ITS world congress, that takes place in Bordeaux in 2015, french OEMs will make some demos with Car2X communication. In collaboration with its partner Orange Business Services, PSA Peugeot Citroën is launching a fleet management solution, covering the entire Peugeot and Citroën line-up. This manufacturer-guaranteed solution is based on the use of an autonomous telematics box (ATB) connected to a vehicle's controller area network (CAN) bus, allowing for automatic reports of precise, reliable data from the vehicle's on-board computers. Parameters monitored include exact kilometre readings, consumption, mechanical alerts and fuel levels. In addition, the solution offers real-time information on hours of use and geographic location.